Washington, D.C., July 27, 2011 - The United States and Great Britain undertook a secret diplomatic campaign in the late 1970s to prevent a major nuclear proliferation threat – Pakistan's attempted covert purchasing of "gray area" technology for its nuclear weapons program – according to recently declassified "NODIS" (no distribution) State department telegrams published today by the National Security Archive. The Archive obtained the documents through a mandatory declassification review request. The documents do not mention the name A. Q. Khan, but already in late 1978 London and Washington were discovering the footprints of secret Pakistani purchasing organizations that were seeking the technology needed to produce fissile material – plutonium and highly enriched uranium – for nuclear weapons. In November 1978, the United Kingdom and the United States sent complementary demarches to other members of the Nuclear Suppliers Group (NSG) in an effort to "delay" the Pakistani nuclear program by denying it access to sensitive technology and equipment. The U.S. demarche was the first of about 300 sent over the next three years. In its first such demarche, Washington was trying to halt a secret Pakistani effort to continue construction of a a plutonium reprocessing facility at Chashma, which the French had begun but had backed out of, partly in response to U.S. encouragement (see details in the Document 12 headnotes below). The 1978 cases offer important insights into the delicate process of balancing competing policy priorities when it comes to nonproliferation. While the Carter administration wanted to block Pakistani nuclear weapons activities, it had other interests, such as Pakistan's internal stability and its role as a regional power, which it did not want to undermine. Moreover, efforts to deny Pakistan access to sensitive technology would prove difficult to enforce because some governments, such as the Federal Republic of Germany, believed that existing controls were adequate and were reluctant to jeopardize export business. The current controversy over Chinese exports of nuclear reactors to Pakistan illustrates the seemingly intractable nature of the conflicts that inhere in the global nonproliferation regime. The recently released State Department files consist of a number of once closely-held records in the "NODIS" category. "NODIS" documents are of such high sensitivity that they can only be read by a limited number of individuals with a specific "need to know." Distribution and copying are strictly controlled by the State Department's Executive Secretary, unlike the SIPRNet system exploited by Wikileaks, which allowed officials at far lower levels to decide on their accessibility. After the French government cancelled the project at Chashma, they learned that the Pakistanis had begun a secret effort to acquire technology to complete the plant (see Document 8). State Department officials wanted to "move forward to restore more normal relations" because they worried about the danger of a "disintegrating or radicalized" Pakistan and Islamabad's loss of confidence in Washington. Nevertheless, the restoration of economic and military aid could be jeopardized by evidence of a Pakistani nuclear program (See Document 5). 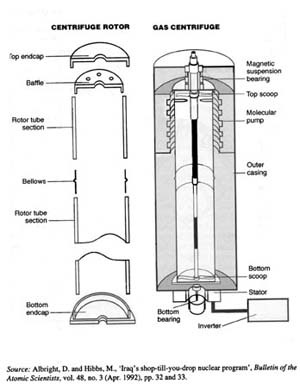 In response to Pakistani efforts to acquire inverters (or frequency converters), a "gray area" technology used to regulate the speed of centrifuges for producing highly-enriched uranium, the British sent a demarche to members of the Nuclear Suppliers Group to seek agreement on preventing sales (see Document 9). Reports that Pakistan was trying to complete the Chashma facility led Washington to send demarches to nuclear suppliers so they could apply appropriate export controls. Accompanying the demarche was a "non-paper" about Pakistani nuclear intentions (see Document 12). According to an Arms Control and Disarmament Agency [ACDA] report, during the next 3 years, the State Department sent about 300 more demarches to European, East Asian, and Middle Eastern governments as part of a continuous effort to "delay the program" by halting the sale of sensitive exports. ACDA asserted that the resulting tighter controls caused a "two-year delay" in the uranium enrichment program (See Document 19). Last year, the National Security Archive requested declassification of a State Department Intelligence and Research report from October 1978 by Robert Gallucci on "Pakistan, the Gas Centrifuge, and the Meeting with the UK." This report may give background on the British discovery of the A. Q. Khan network’s attempts to acquire inverters for a gas centrifuge enrichment plant and the U.S.-British discussions that led to the British demarche included in the documents published today. On 31 May 2011, the State Department informed the Archive that after searching through retired records of INR and the Bureau of Politico-Military Affairs, it had concluded that the report no longer exists: "The requested memo and its attachments appear to have been destroyed following a specialized review by the records management staff." If it is true that that no copies of the INR report have survived, it may represent an irreplaceable loss of historically valuable information on a topic of tremendous current significance. As such it would suggest a critical need to ensure the integrity of the State Department's record keeping system, which should be preserving, not destroying, historically valuable records. The Archive is requesting copies of the records of destruction so that it can determine what else might have been destroyed. The U.S. and the British demarches provide insights into the operations of the Nuclear Suppliers Group (also known as the "London Club," the site of its creation) in the early phases of its existence. As part of its founding, the NSG created a "trigger list" of equipment, materials, and technology, whose export required the application of International Atomic Energy Agency safeguards in order to prevent unauthorized diversion and the development of a weapons capability. The reprocessing equipment and technology sought by Pakistan was a straightforward case under the "trigger list." The list, however, only covered specifically nuclear equipment, materials, and technology but not dual-use items such as inverters for gas centrifuge plants. The British wanted to develop a list of such items for the trigger list, a goal that the NSG did not accept for quite a few years. Nevertheless, prohibiting the export of such items was consistent with the purposes of the Nuclear Suppliers Group and Washington and London would work on a case-by-case basis to persuade other members to accept new controls. More needs to be learned about the British discovery of the Pakistani effort to purchase inverters from a U.S. firm--Emerson Electric--with operations in the United Kingdom, as well as how and when the British government passed the information on to Washington, and how the U.S. government developed its response. In any event, documents published by the National Security Archive in December 2010 suggest that the November 1978 British demarche on inverters was too little, too late. (Note 2) According to a "Monthly Warning Report" distributed by the CIA the following month: the "best efforts" to "thwart [Pakistani nuclear activities] activities" have not been enough and Pakistan "may succeed in acquiring the main missing components for a strategically significant gas centrifuge enrichment capability." More such news came from the CIA in the following months, which increased the prominence of the Pakistani nuclear problem on the Carter White House's agenda. Nevertheless, U.S. government officials believed that, even if they could not halt the Pakistani nuclear program, export controls based on intelligence monitoring could at least delay it and raise its costs. As for the cancelled reprocessing plant at Chashma, the Pakistanis had trouble moving it forward. According to a report published by the Institute for Science and International Security, "The facility was partially constructed, but the full extent of the technology transfer is unknown." A report by Arms Control Wonk put it bluntly: the French left an "empty shell" which stayed that way for decades, although work has recently restarted. The State Department did not release the entire set of documents that the Archive requested, sending some for review to other agencies. These may be CIA reports describing the overseas purchasing activities of Pakistani officials. If the CIA declassifies any of them, they will be published here. With France's cancellation of the reprocessing deal, Andre Jacomet, a top adviser on nonproliferation policy, hoped that Washington would restore economic and military aid to provide Pakistan with an "incentive" to continue a moderate course. While the deal was dead as far as the French government was concerned, it was not interested in putting that in writing, in part to avoid criticism from internal political opposition. Jacomet hoped that prospective sales of Mirage jets to Pakistan would obviate Gaullist criticism that France was "losing business" because of the reprocessing cancellation. General Zia and Pakistani authorities may have hoped they could use a commercial truck deal with France as leverage to resuscitate the reprocessing plant, but French diplomats were "categorical" in asserting that no deal was possible. Recognizing that the Pakistanis intended to use the reprocessing plant only for producing weapons-grade fissile material, the French saw no wiggle room on this point. During a talk with Ambassador Hummel, General Zia suggested that it was U.S. "pressure" that led Paris to halt the reprocessing project: President Carter, he said, "should be happy." Zia, however, wanted more from Paris: a public statement that the project had been cancelled. Later in the conversation, during a discussion of the Central Treaty Organization (CENTO), he observed that U.S.-Pakistani relations were "at the lowest ebb." With the French cancellation of the reprocessing project, the Carter administration was interested in getting Congressional blessings for the resumption of aid to Pakistan and to do that Washington wanted an explicit statement from the French that the deal had been cancelled. During a discussion with Jacomet, Gerard C. Smith, President Carter's envoy on nuclear nonproliferation matters, learned that the French refused to do so arguing that the U.S. had enough statements from the Pakistanis to make the point. D'Estaing's government worried that a public statement would create a major controversy that the Gaullists would aggravate. Smith wanted to discuss Pakistani nuclear intentions, but Jacomet could not shed much light. Seeking to "reknit our ties" with Pakistan, the State Department planned to consult members of Congress on the possibility of restoring economic and military aid in light of the cancellation of the reprocessing plant. The projected briefing material included the following points: Citing Pakistan's importance to U.S. foreign policy, the danger of a "disintegrating or radicalized" Pakistan and Islamabad's loss of confidence in Washington, the State Department wanted to "move forward to restore more normal relations." Supposedly, restoration of U.S. aid would provide "some influence." The nuclear proliferation problem was by no means solved, however, because a prime motivating force, "fear" of India, was "undiminished." Nevertheless, the Department downplayed the risk of rapid progress; Pakistan "lacked the technical skills and industrial capacity to complete the French project in the near future." The recent discovery that the Pakistanis were "shopping around" to acquire technology for a gas centrifuge raised questions, but U.S. officials pointed to the "enormous" problems in developing such technology. Moreover, with other nuclear suppliers it would be possible to "restrict Pakistani purchases of items which might be used in a centrifuge" program. In any event, Washington would "make it absolutely clear" that U.S. aid would be at risk if Pakistan tried to develop a nuclear weapons capability. Information that a French firm, Robatel (still in business), had received a license to export nuclear-related technology to help the Pakistanis complete the reprocessing plant came to the State Department's attention. Because various types of centrifuges were relevant to producing plutonium from spent reactor fuel, it was important to find out what Robatel might be sending. The Department asked for a "discreet inquiry" in Paris. Jacomet "flatly denied" that the French had issued a license, arguing that the French decision to terminate the reprocessing contract was "final." He suggested that the French press, with its "lack of seriousness," might be in cahoots with the opposition to "undermine" Giscard's decision. A source at the French White House, the Palais de l'Élysée, informed the U.S. embassy that new information suggested that Pakistan was determined to complete the reprocessing plant "on its own." To acquire the necessary technology, Pakistan had made "probes in Rome, Tokyo, and Madrid" and perhaps elsewhere. The source suggested that Pakistani might be trying to develop a nuclear capability so that it could resist "blackmail" from India but not testing a device so that it could avoid an "international outcry." To begin correcting the problem, the British announced a ban on inverter exports in the Department of Trade Journal, and asked other governments to take "parallel steps." The British had already halted one sale of inverters through an "intermediary." According to an "assessment" which the British shared with the State Department, they believed that the "piecemeal" Pakistani purchasing efforts to acquire "inverters of certain specifications" were directly related to the building of a gas centrifuge unit for producing weapons-grade uranium. This "demonstrates the probability of Pakistan's covert assembly of a plant of fissile material, which will not be subject to international safeguards." The State Department strongly supported this British initiative and forwarded it to key U.S. embassies so that they would know that it was in train. The "Memorandum for the Record" attached to this cable illustrates the sensitivity of NODIS controls. ACDA officials safeguarded the document by allowing an Energy Department official only to read it, but not to keep it. The State Department shared with the British and the French the draft of a U.S. demarche on the Pakistani reprocessing program before officially sending it to members of the Nuclear Suppliers Group. Robert Alston, with the Foreign Office's nuclear unit raised some questions, for example, about how to deal with governments such as South Korea and Taiwan, whose covert nuclear programs had been under U.S. pressure, who might be potential supplies of inverters, and who may not have "positive" reactions to U.S. efforts to "contain" Pakistan's nuclear program. When Jacomet discussed the draft with U.S. embassy officials, he observed that the "‘most dangerous' problem would be with Italy and the FRG"; the West Germans "don't care at all about France's nonproliferation policy." With the new intelligence on Pakistan's purchasing activities, the State Department asked the U.S. Mission to the IAEA about a rumored letter from IAEA Director General Eklund to Munir Khan of the Pakistani atomic energy commission. The letter reportedly discussed a recent statement by imprisoned former president Zulfikar Ali Bhutto about Pakistan's nuclear weapons plans. The Department also asked U.S. diplomats to "discreetly convey" that IAEA officials responsible for safeguards at Pakistani nuclear reactors be "particularly sensitive for any questionable use of facilities or disposition of safeguarded material." Several days later, U.S. Ambassador to the IAEA Roger Kirk signed off on a message saying that the Mission had been in touch with Eklund's deputy, David Fischer. The latter did not know about a letter to Khan, but was "troubled" by Pakistani developments, including the suspicious activities of a Pakistani scientist, denial of access to portions of a reactor operated by the Pakistani Institute of Science and Technology (PINSTECH), and attempted Pakistani contacts with a reprocessing equipment firm in West Germany. While the Agency inspectors were under instructions to be "particularly alert," Fischer observed that a former IAEA staffer had cautioned that the "level of technological proficiency was not sufficient to accomplish significant diversion." The information from French sources about Pakistan's interest in completing the Chashma reprocessing plant on its own (see document 8) may have been confirmed by additional intelligence because a month later the State Department took up the issue with a demarche and a "non-paper" to 12 governments, all members of the Nuclear Suppliers Group. That the demarche had White House support was evident by the reference to "the highest levels" of the U.S. government. The talking points mentioned Pakistani interest in the "feasibility" of completing the reprocessing plant and the attempts to purchase inverters for a gas centrifuge enrichment facility, but also "highly sensitive information that nuclear explosive design and development work is underway." According to the non-paper, if the Chashma plant, or a facility at PINSTECH, were constructed, either could "produce sufficient plutonium for several nuclear explosive devices." To prevent a "particularly dangerous risk of nuclear proliferation," the State Department asked each of the governments to "exercise vigilance and appropriate control to deter" Pakistan from acquiring sensitive technology." Documents 13A-L: "US Demarche on Pakistani Reprocessing Plant"
As instructed, the selected U.S. embassies distributed the November 4 demarche and non-paper to their host governments. The thrust of the responses was agreement that the United States had pointed out a serious problem and that the governments would "act accordingly." Some official responses were routine, while others conveyed surprise (e.g., from Ottawa and Tokyo) that Pakistan would actually try to complete the Chashma plant or even had a nuclear weapons program. West German diplomat Hans-Werner Schlautenberger was skeptical that Pakistan had such intentions and was particularly worried about the secrecy of the U.S. initiative lest headlines appear about "US and FRG in Nuclear Boycott of Pakistan." He was confident that West Germany had "more than adequate controls over exports," but this was misplaced confidence because Pakistan had already made significant purchases of dual-use technology in the Federal Republic. (Note 4) Washington would renew pressure again and again to persuade West Germany to establish effective controls over sensitive exports (for example, see Document 19, below). Others (e.g. Sweden) worried over the difficulty of trying to control exports of items that were not on the NSG trigger list. The foreign minister of the Netherlands was wholly cooperative (understandably so, given the embarrassing breaches in Dutch security that had enabled A.Q. Khan to steal enrichment technology), although he was concerned about criticisms from the "LDCs" [Less Developed Countries] about the Nonproliferation Treaty's discriminatory nature. Raoul Schoumaker, a Belgian diplomat who received the demarche, noted soberly that what Bhutto had "set in motion there was not likely to be scrapped voluntarily." Despite this message's subject line, it recounts the British ambassador's meeting with Under Secretary for Foreign Affairs José Joaquín Puig de la Bellacasa, apparently to discuss the UK demarche on inverter exports. Puig was highly cooperative, agreeing on the need to "block all loopholes." Document 15 A-C: "Achieving USG Nonproliferation Objectives in Pakistan"
Having heard reports that an evolving plan to curb the Pakistani nuclear program might involve "informing" the Indian government about U.S. concerns, Ambassador Hummel suggested that going through with that, especially providing "factual information," would have an "adverse impact" in Pakistan if word of it leaked from New Delhi. Hummel was not worried about leaks from the Nuclear Suppliers Group but "for USG to be seen by Paks to be colluding with India in this is [a] totally different matter." In response the State Department said that U.S. officials had instructions not to share U.S. "concerns" with the Indians while Ambassador to India Goheen observed that the Indian government "has known for some time that we believe Pakistan to be bent on achieving a nuclear weapons capability." While he believed that the embassy had offered "no factual information," he said that Indian diplomat V. Shankar had claimed that Pakistan was "two or three years" away from an nuclear capability. Apparently Goheen had asked the CIA station to investigate where Shankar might have gotten his information, but it had "drawn a blank." To compare notes on whether Sweden was responsive to the U.S. and British demarches on inverters and reprocessing technology, deputy chief of mission Robert J. Martens met with an unnamed British diplomat. It was an open question whether the Swedes were putting inverters on their trigger list and Martens would stay in touch with his British colleague. The "British suspect that Sweden may be reluctant to extend controls on exports without more specific information than is now available." Documents 17A-B: "Pakistan Proliferation Problem"
The British agreed with the direction of U.S. thinking, except on an approach to the Soviet Union. Although the Soviets were member of the suppliers' group, the British had decided not to approach them on the inverter problem because they were unsure whether Moscow's "commitment to nonproliferation outweighs their special political interests vis-à-vis Pakistan." The Soviets had been trying to improve relations with Islamabad, probably to offset Chinese influence, although any hope of improvement collapsed when they invaded Afghanistan. During talks in Washington on the INFCE, Jacomet reassured Smith and senior State Department officials that "the French government decision to suspend all further cooperation under the reprocessing contract was firm." The French hoped to avoid a "confrontation" with Pakistan and "maintain a dialogue" (even on plutonium storage) until it was clear whether Bhutto would be executed. That the Pakistanis wanted to "complete the [Chashma] plant without French help" was clear, although it "may prove difficult and perhaps impossible" to finish it. In the meantime, two French civil engineers were working at the plant site, keeping the "French government closely informed on the situation." This August 1981 report by ACDA official Richard L. Williamson puts in context the November 1978 demarches on inverters and plutonium reprocessing technology. While the number of British demarches is unknown, Williamson confirms that up to August 1981 the U.S. government had issued some 300 demarches to halt the sale of nuclear-related items to Pakistani purchasing organizations. Facilitating the demarches was an "unprecedented degree of cooperation and daily contact" between intelligence agencies and the "consumers in ACDA and State who prepared the demarches on the basis of that intelligence." The objectives of the demarches were to "take advantage of the Pakistanis' lack of scientific, managerial and especially engineering capabilities," "to keep the Pakistanis from easily tapping the industrial base of more advanced countries," and to cause delays in the program by forcing the "Pakistanis to manufacture items themselves rather than to specifications from more advanced countries." Williamson argued that the program of export denial had "been relatively successful" especially on uranium enrichment activities, with less success on the reprocessing program. 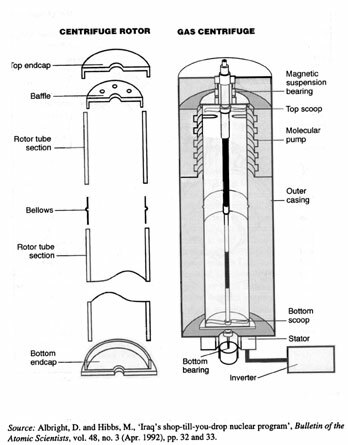 He cited a number of examples where the demarches had prevented the supply of "critical equipment and technology," including centrifuge bellows from France (although 1,000 went through) and gas centrifuge rotors from Switzerland. 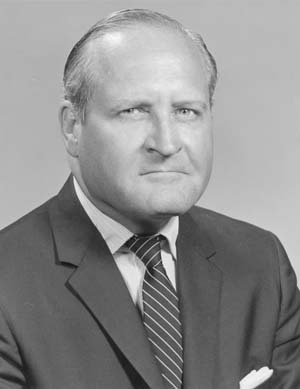 Moreover, a series of demarches had been necessary to persuade West Germany to halt exports of inverters, zirconium tubes, and tritium targets. 1. Guy Gugliotta, "Demarche-ing Orders: How to be A Good Diplomat," The Washington Post, 11 October 1994. A media reference to a State Department "non-paper" as a "device used to assure maximum confidentiality" can be found in an article by Don Oberdorfer, "U.S. Is Ending 18-Year Nuclear Pact with India," The Washington Post, 23 April 1981. 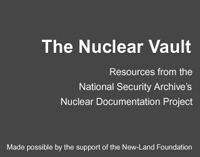 But the concept of the "non-paper" goes back far earlier; see, for example, a West German "‘non-paper'" having no official status" https://nsarchive.gwu.edu/nukevault/ebb253/doc18.pdf on the Nuclear Nonproliferation Treaty that German diplomats passed on to State Department officials in March 1968. 2. See David Albright, Peddling Peril: How the Secret Nuclear Trade Arms America's Enemies (New York: Free Press, 2010), 23-40, for Pakistani purchasing operations during the mid-1970s. 3. David Armstrong and Joseph Trento, America and the Islamic Bomb, (Hanover, NH: Steerforth Press, 2007), 74-77. 4. Armstrong and Trento, America and the Islamic Bomb, 70-71; Albright, Peddling Peril, 54-57. 5. See Albright, Peddling Peril, 46-50, and R. Jeffrey Smith and Joby Warrick, "A Nuclear Power's Act of Proliferation," The Washington Post, 13 November 2009.